The gold demand stood at 1,104.8 tonnes in the corresponding quarter last year, according to the WGC's 'Q3 2016 Gold Demand Trends' report. Global gold demand declined by 10 per cent to 992.8 tonnes in the third quarter of 2016, World Gold Council said in its latest report. Total investment demand rose 44 per cent to 336 tonnes as investors continued to build up their strategic allocations to gold, it said. Gold-backed exchange traded products (ETP) inflows accounted for 146 tonnes in the quarter under review, dominated by European funds, according to the report. These flows were supported by relatively expensive equity valuations and low-yielding sovereign bonds. By contrast, bar and coin demand totalled 190 tonnes in Q3, down 36 per cent year-on-year. Central bank demand reached 82 tonnes this quarter as against 168 tonnes in the same period last year, it said. Total mine supply dropped by 4 per cent to 832 tonnes in Q3 from 866 tonnes in the same quarter last year. The relative stability can be attributed to the cost cutting programmes that have been a feature over the past few years, the report said. The rising gold price also encouraged consumers to recycle their gold, generating more than 341 tonnes of supply this quarter, up 30 per cent from the same period last year. 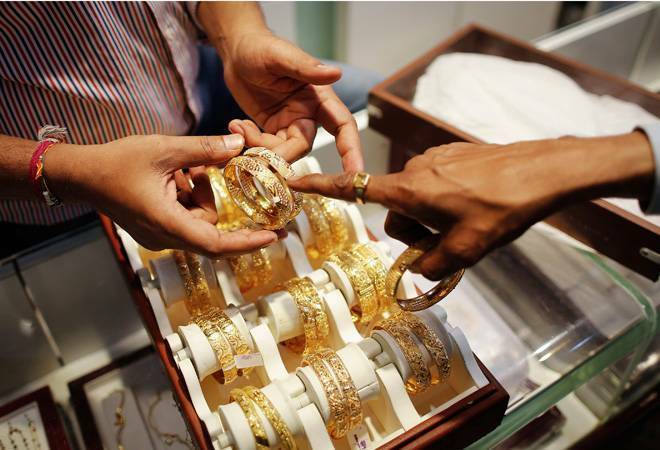 This trend was particularly prevalent in India, where consumers cashed in on their holdings, swelling the amount of recycled gold in the region to 39 tonnes, its highest level since Q4 2012. "We continued to see flows into gold-backed exchange traded products (ETPs) in Q3, taking year-to-date inflows at the end of September to 725 tonnes," WGC Head of Market Intelligence Alistair Hewitt said. "Institutional investors have looked to hedge against uncertainty stemming from geopolitical risk, including Brexit, the US Presidential race and the potential impact of elections in France and Germany next year. In addition, negative interest rates continued to underpin institutional demand," he said.